When Steve Jobs returned to run Apple in 1997 he trimmed down the product line – including canning the pioneering MessagePad – and launched a programme of reimaging Apple’s product line. The original Apple iMac (dibbed the iMac G3), launched in August 1998, is one of the more famous examples of this process. When launched, the iMac came with an enormous amount of press coverage. It looked like nothing else on the market: simple and elegant with a shape a little like an egg, the casing was construction of translucent plastic with a large “Bondi Blue” panel on the top. The eye-catching looks were largely due to the work of Apple’s Jonathan Ive. The iMac also ditched the floppy disk and legacy ports of earlier Macs and instead it came with a CD and USB ports. Mac purists may have recoiled at the technical changes, but in many ways the iMac was a very contemporary reworking of the original classic Mac from 1984. Only this time, the iMac sported a 15” 1024 x 768 display and a speedy 233 MHz PowerPC processor with 32MB of RAM. 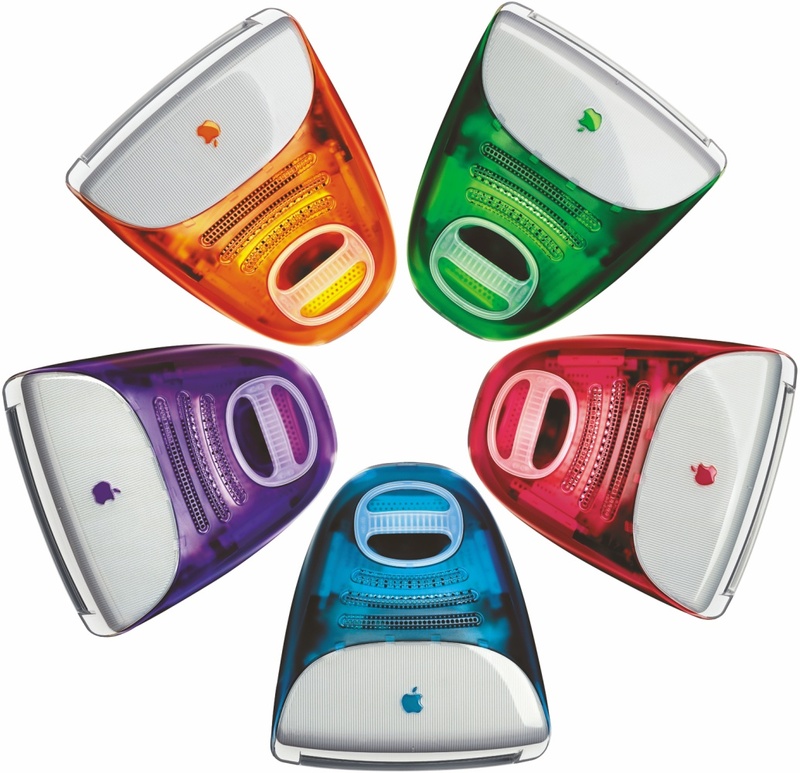 The iMac was a significant sales success, but crucially it was a design success too. Even people who would never want to buy a Mac liked the way that it looked, and it helped to re-establish Apple’s coolness in the eyes of consumers. This was a significant help when it came to subsequent products such as the iPad, iPhone and iPad – devices that sold much more widely than the iMac itself. The iMac G3 was crucially to the process of Apple reinventing itself. There were several revisions to the iMac in the four years it was in production, most obviously with different coloured cases. The iMac also became more powerful and a little sleeker along the way. Although the original operating system was MacOS 8, the iMacs can also run the more modern OS X operating system. 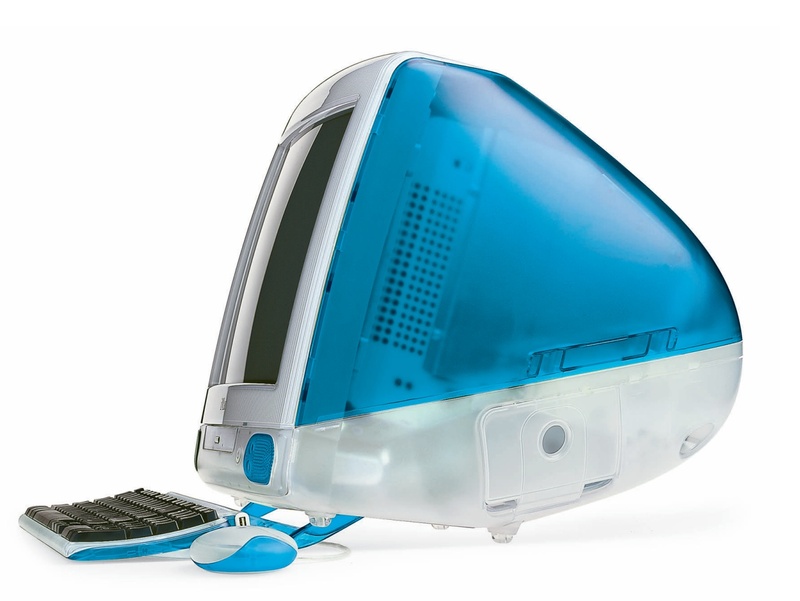 The remarkable looks of the iMac G3 - with the case wrapped around the shape of the CRT – would not last as this type of display technology was in its final generation. Subsequent iMacs would use flat panels instead, giving a very different design aesthetic. As a footnote though, when some people saw the radical design of the iMac at launch it looked rather familiar. As we have noted previously, 22 years before the iMac there was another curvy design in brightly-coloured plastic – the Lear Siegler ADM-3A. Although it’s a different technology for a different time, there are certainly some uncanny similarities.